I have seen a bit of the Kombat Kon stream and some stuff that is said in Daniel's interview caught my attention. I never knew that Daniel Pesina and the whole original cast had such a huge positive influance on the MK series. It seems that Daniel Pesina is responsible for Scorpion's iconic "get over here" animation/move. Did you knew that? I didn't! Pesina said that Ed. came up with the idea of scorpion throwing a lasso. Pesina responded " Im not wonder woman" xD. Than Pesina explained to Ed. 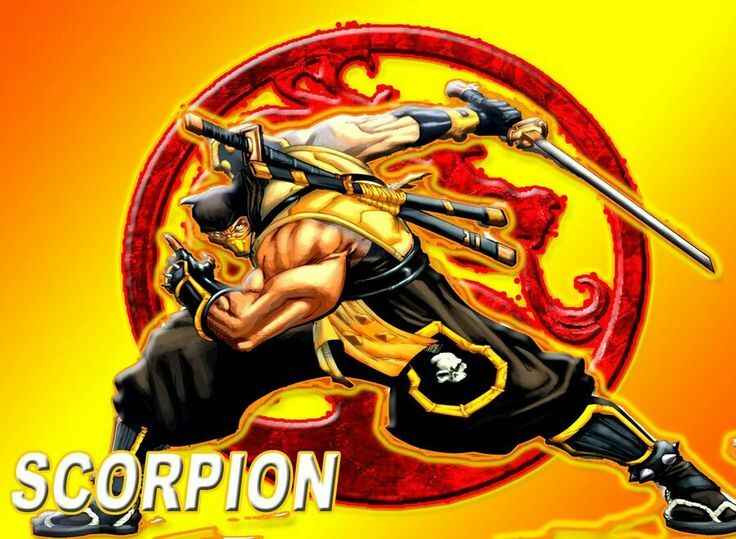 "in martial arts we use a harpoon" Than john wanted to use that instead and it eventually made Scorpion the badass we all know. Also was it someone else's idea to scream "Get over here"
Pesina and the rest of the cast knew their martial arts. This i miss in MKX. Yeah, Master Pesina shared this story elsewhere, and I never tire of hearing it. <br/> <br/>What stands out to me about is the evolution that the move takes: <br/><Ul><Li>Ed Boon suggests a lasso-type move</Li> <Li>Daniel Pesina says a rope-dart, used in real life to knock horses off of generals, would be more appropriate</Li> <Li>When he does it, Richard Divizio shouts "Get over here! "</Li> <Li>In the final game, Ed Boon does the shout - but he's actually doing an impression of Rich saying it</Li> <Li>And of course, John Tobias does the artwork for it and Dan Forden throws in the sound effects</Ul> <br/>It's truly a collaborative effort, and the way it unfolded with everyone contributing their input and their own touches along the way made it what it is. RE: Scorpion throwing a lasso? Yeah, Master Pesina shared this story elsewhere, and I never tire of hearing it. When he does it, Richard Divizio shouts "Get over here!" It's truly a collaborative effort, and the way it unfolded with everyone contributing their input and their own touches along the way made it what it is. Maybe Erron Black could have a lasso move in MK 11 since he is a Western gunslinger. Yeah it's funny how certain things end up. I never realised how using digitized characters would help developing the characters that much. Sindel, Jax, Liu kang, etc. all played the characters how they would in real life or their minds. It's amazing how the acters had the oppertunity to apply their knowledge and skills to the roster of MK. By not having acters but designers instead you can lose this effect. Especially when it comes to characters from different origins where their bahavior needs to suit his/her origin. With J. Tobias creating the basics, visuals and backstory, Ed. Boon's fetish for hiding stuff (secrets) and the acters that applied their knowlegde and skill it created alot of iconic characters. Cowboy Hasashi for next game, please.